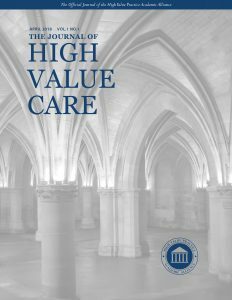 As the US works to improve health care value, a strategic plan is essential to ensure the quality, safety, and effectiveness of a new model for health care delivery. 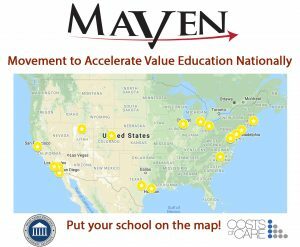 “Value” has been defined in various ways, with costs as the universal denominator and more recently cost-effectiveness as the numerator. 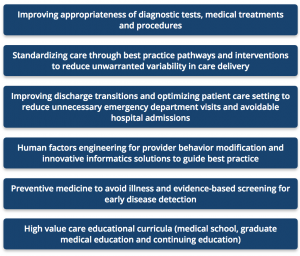 Early and efficient diagnosis and management, patient safety, patient experience and disease prevention are key elements of cost-effectiveness, underscoring the importance of quality-driven care redesign and systematic analyses to measure outcomes. 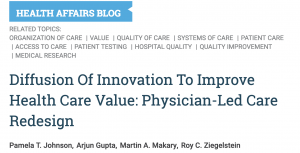 Quality-driven care pathways: Specialty-designed, quality-driven inpatient and outpatient practice pathways to decrease the variabilities that reduce efficiency and unnecessarily increase cost. Evidence shows that pathways improve outcomes and reduce length of stay. Discharge transitions: Improving patients’ understanding of how to manage their care and access to outpatient resources will decrease preventable readmissions. Optimizing patient care setting: Specialized outpatient acute care centers (oncology for example) to reduce emergency department visits and maintain continuity with the primary care team. Additional successful initiatives include outpatient parenteral medication administration to reduce length of stay and inpatient palliative care units. Preventive medicine: promoting a healthy lifestyle to reduce the risk of disease, evidence-based screening tests for early diagnosis, and adherence to preventative care guidelines (e.g. VTE prophylaxis for inpatients, preventing catheter associated UTI). Similarly, radiologists need to play a role in all aspects of their care, including appropriateness of patient selection for imaging, performing the best imaging test for each clinical indication, protocol selection and technological advancements to deliver the most information at the lowest cost, and reports that add valuable patient management information without recommendations for unnecessary workups. 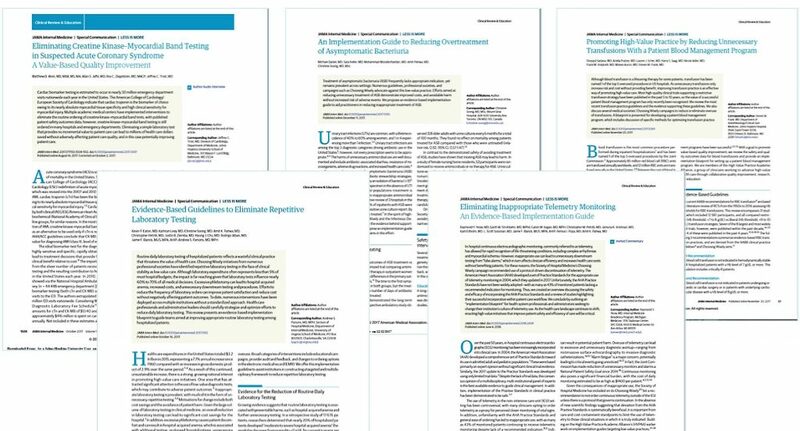 The success of initiatives to improve imaging appropriateness hinge on cross-specialty engagement, to create consensus guidelines and mutually acceptable clinical decision support interventions for advanced imaging, as mandated by CMS. 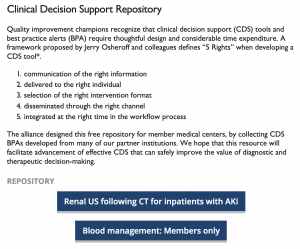 The American College of Radiology R-Scan Program is a platform to facilitate cross-specialty value improvement. Providers in all medical specialties are summoned to join the charge. 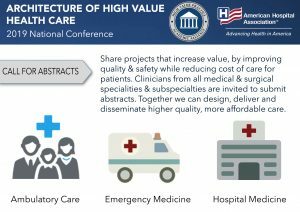 Venues to participate in organized efforts include the High Value Practice Academic Alliance, Costs of Care, the Lown Institute, and Providers for Responsible Ordering. 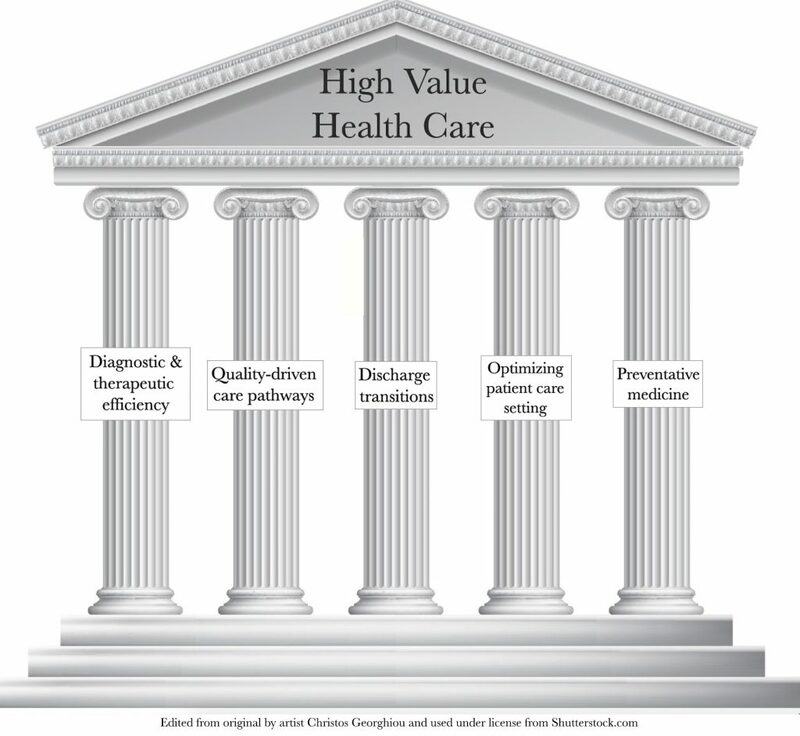 Medicine is a public trust, and to ensure that this trust is not broken, medical providers, hospitals, and health systems need to become uniformly accountable for practicing high value health care. © 2017-2018 Pamela Johnson, MD. All rights reserved.